Many people roast peppers in the oven, in which case the shape is not especially important, but I prefer mine charred over an open flame. For that technique, peppers with a ‘squarish’ shape, like the ones pictured above, are much simpler to handle as they can be easily cooked on all sides. 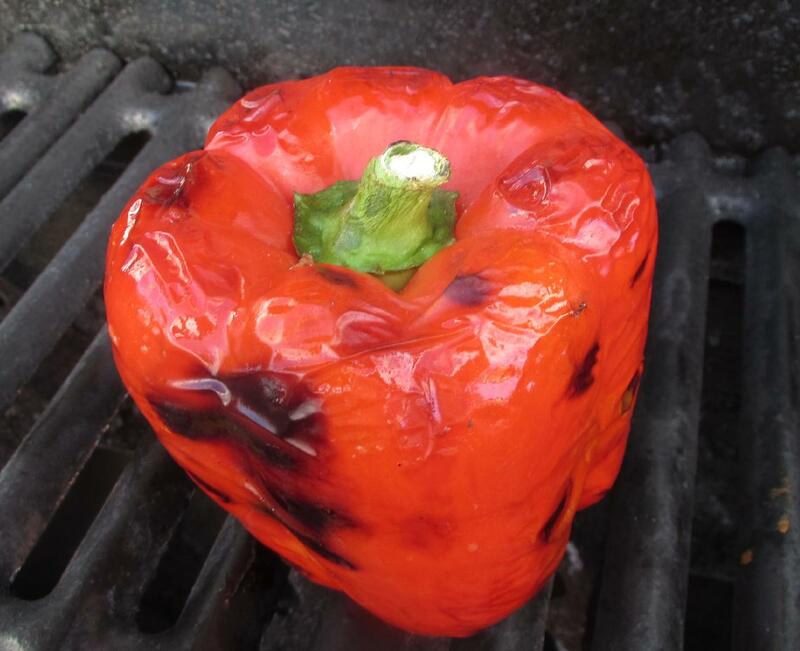 Some people like to almost completely blacken the exterior of the pepper. This gives it a particular flavor that many people enjoy but I prefer to cook only until the flesh is just starting to soften. The result is a little harder to peel but I like the sprightly color and flavor that you get when the pepper is not too well done. 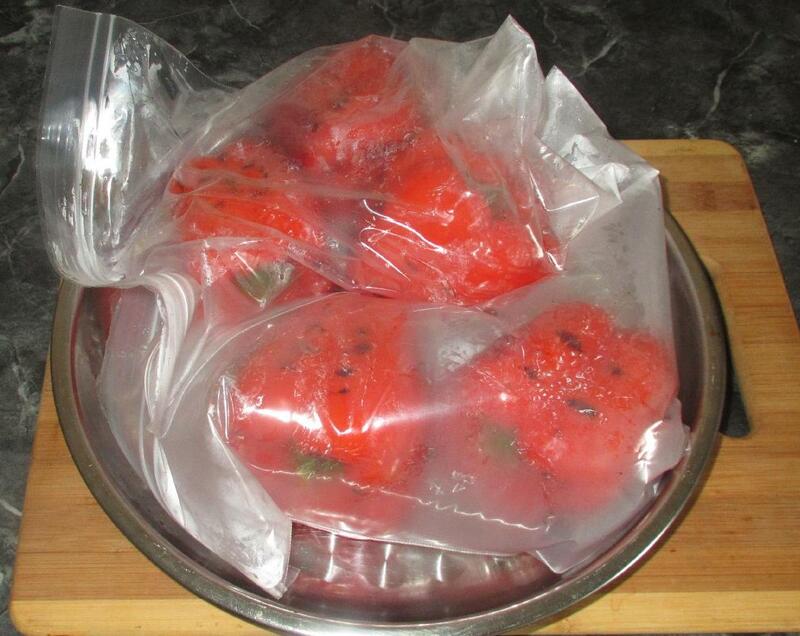 When the peppers are cooked to your liking, remove them from the heat and pop them into a heavy-duty plastic bag. The idea here is to let them sweat to further loosen the skins as they cool. You can leave them just until the temperature drops enough to make the peppers easy to handle or, if you prefer, pop them into the fridge and leave them over night. 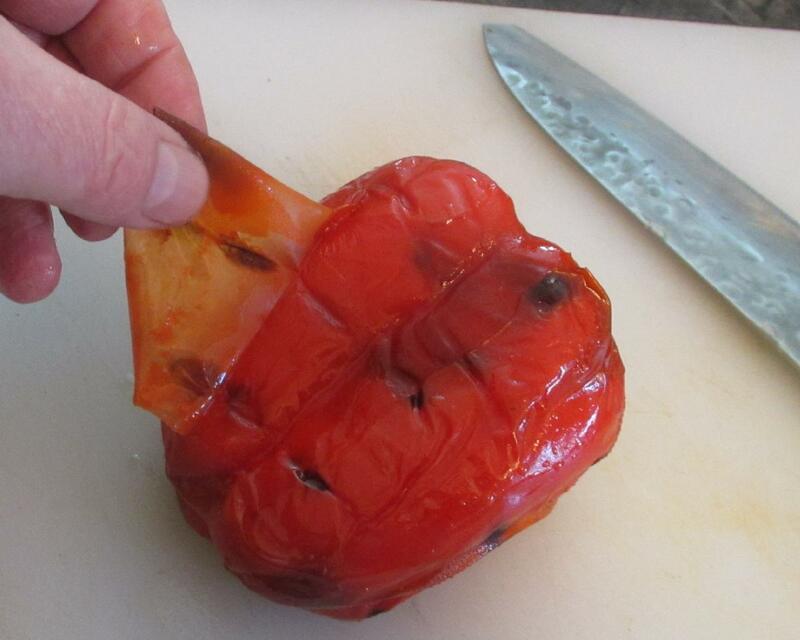 If you like, you can peel the peppers while they are whole. 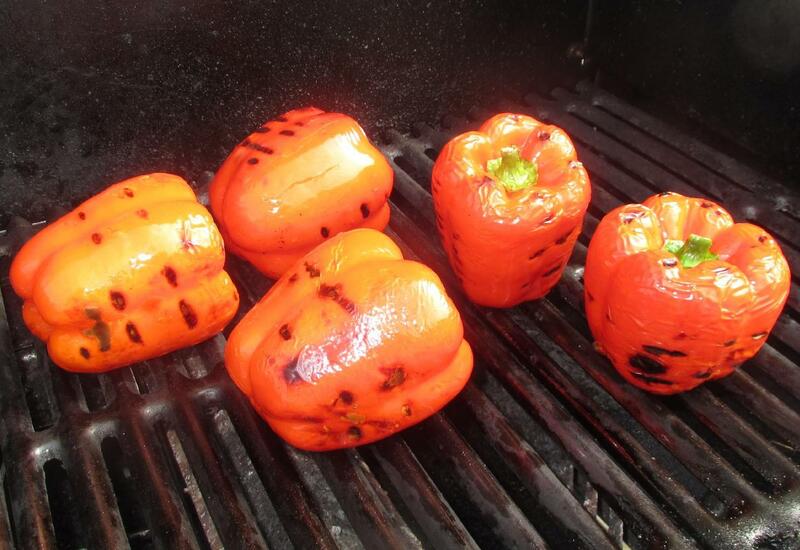 As you can see, when the peppers are only lightly grilled they retain their basic shape quite well. Those roasted more thoroughly, on the other hand, tend to become a bit ‘floppy’ and saggy (although the skin can sometimes just slip right off in one or two pieces). 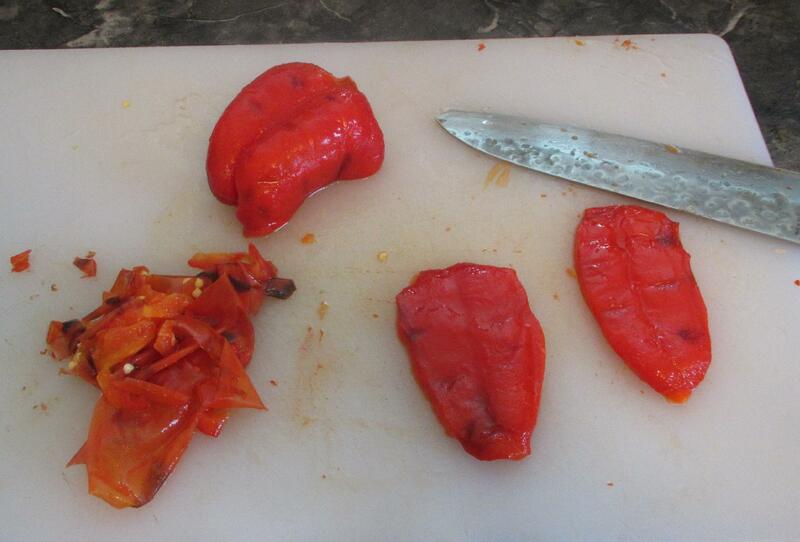 Cutting the peppers into sections before peeling is sometimes a bit easier. Often, you can just grab an edge of the skin and peel it away but, if it is a bit stubborn, scraping gently with the edge of a knife blade will generally do the trick. Roasted red pepper flesh freezes quite well. 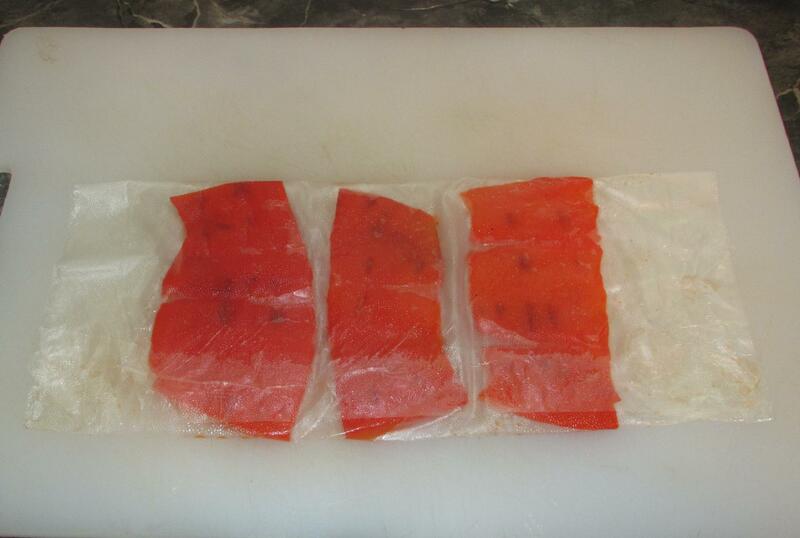 Simply keep the individual pieces separate from each other, enclose in cling wrap and then pop into the freezer. I like keeping the peppers in the refrigerator in oil. You can use plain vegetable or olive oil but here I have used some of my home-made Garlic Oil. If you are going to be keeping any under oil for more than 5 or 6 days then it is advisable to add some salt as well. About 1/3 of teaspoon sprinkled over each whole pepper is about right. 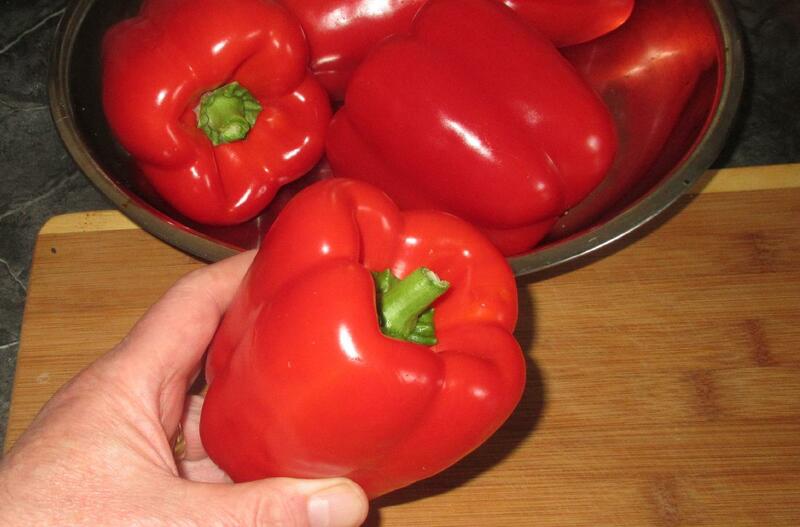 I roast peppers every time they become affordable. I love them. They are so sweet and smokey and delicious. My favourite ways to use them would be stirred through pasta or added to tinned tomatoes for a delicious soup. 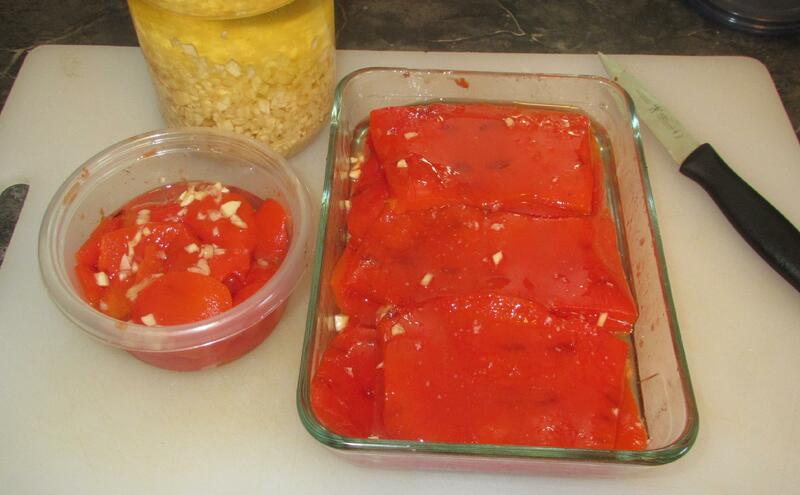 Roasted bell peppers are a must during the summer in my home. Hello, I am re-writing my comments which were lost in cyber space. I am back after a long absence . I love roasted pepper, but never knew there are so many various ways of using them. \Will definitely tried next time. I just posted a new post, especially for you: Chinese words, their meaning behind the shape of the food. Welcome back 🙂 I saw your post before I read this comment! I love roasted bell peppers and don’t like store-bought roasted peppers because they usually include vinegar, which ruins the flavor for me. Sometimes they are easy to peel and sometimes difficult, but I am not sure what causes that as I always treat them the same (25 minutes at 250C/480F in the oven).